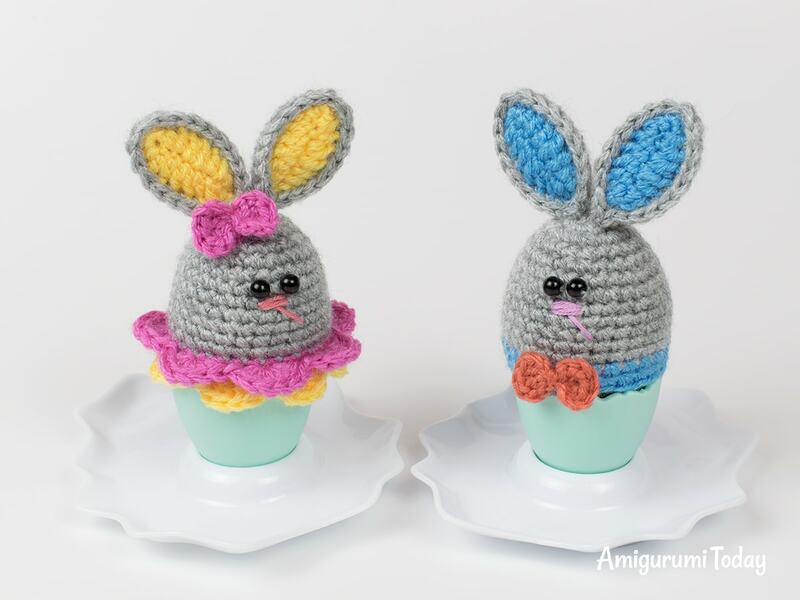 Make this cute egg cozy for somebunny you love this spring! 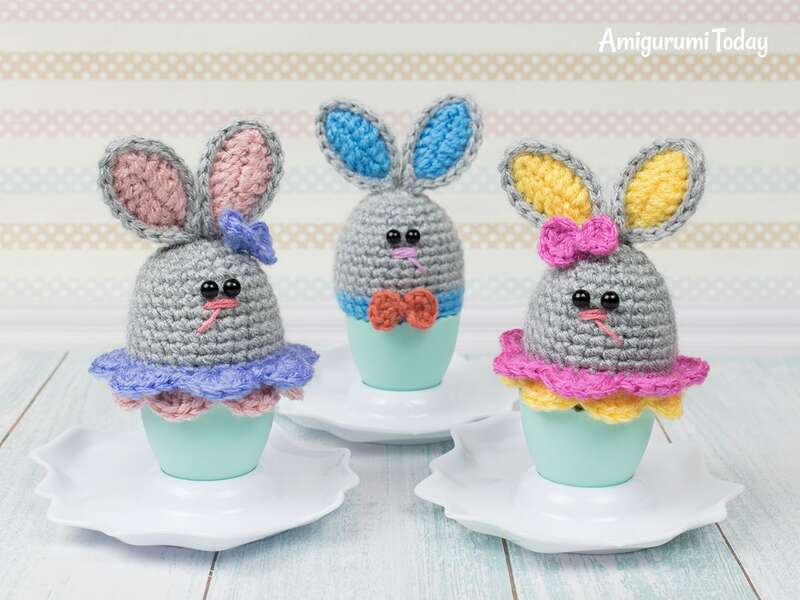 This is a perfect last minute crochet project to surprise your guests on Easter. 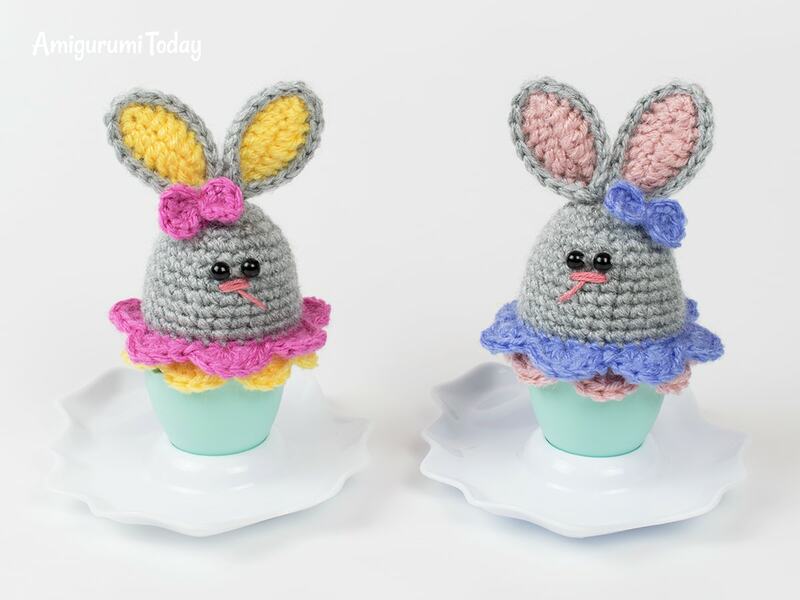 Find free bunny egg cozy crochet pattern below. 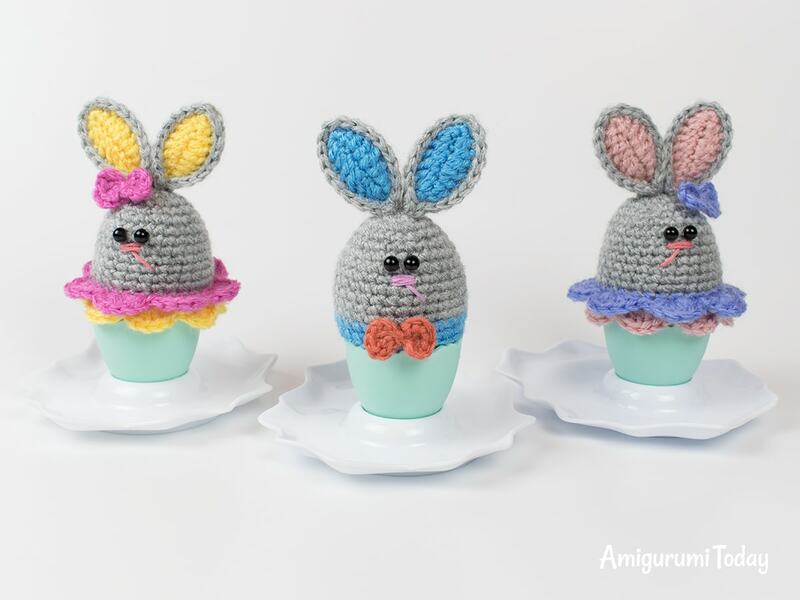 The size of this Easter bunny egg cozy is about 5 cm (2″) without ears, if you use a yarn of the same weight and similar hook. 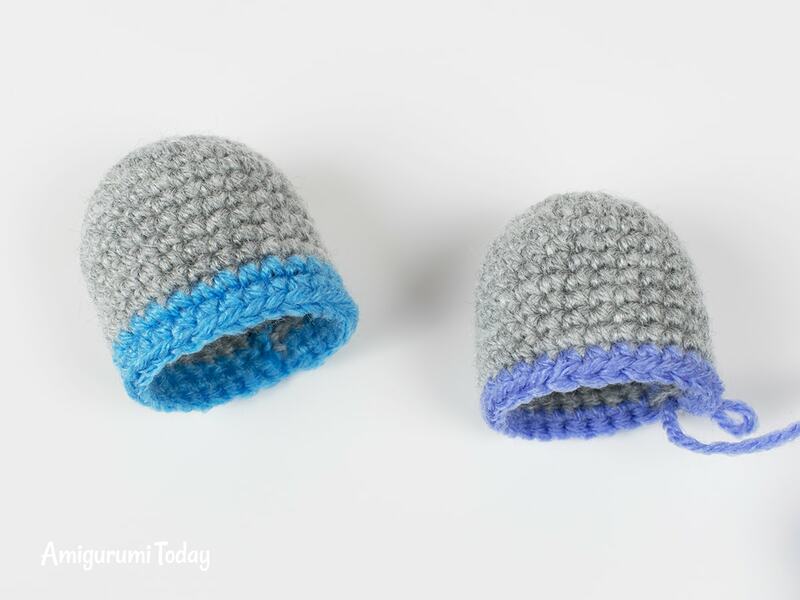 Crochet with gray yarn in continuous rounds using a stitch marker. Make 1 sl st and change color. Finish with sl st. Fasten off and weave in the end. Rnd 14: work in front loops only: (skip 1 st, 6 dc in next st, skip 1 st, sl st in next st) repeat 7 times. Now you have 7 petals. 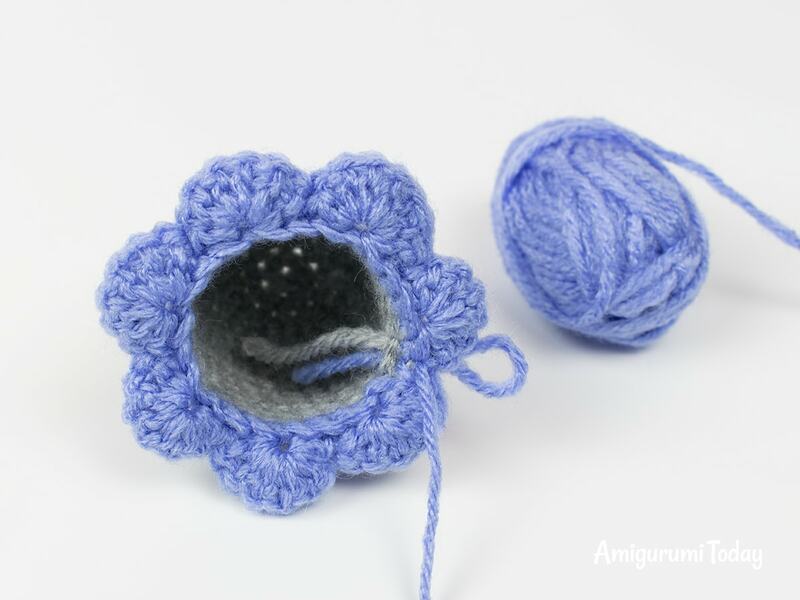 Attach contrast yarn to one of the back loops of Rnd 13 in the middle of a petal. Rnd 15: work in back loops: (skip 1 st, 6 dc in next st, skip 1 st, sl st in next st) repeat 7 times. 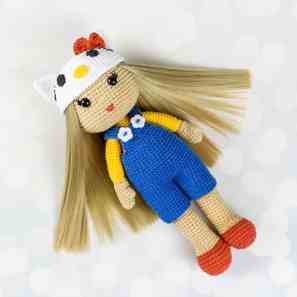 Fasten off and weave in the end. 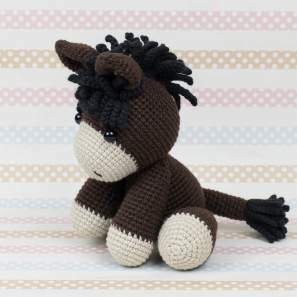 Crochet 10 ch, turn and continue working around the foundation chain. Rnd 1: (3 ch, 2 dc in the ring, 3 ch, sl st in the ring) repeat 2 times. Pull off the ring. 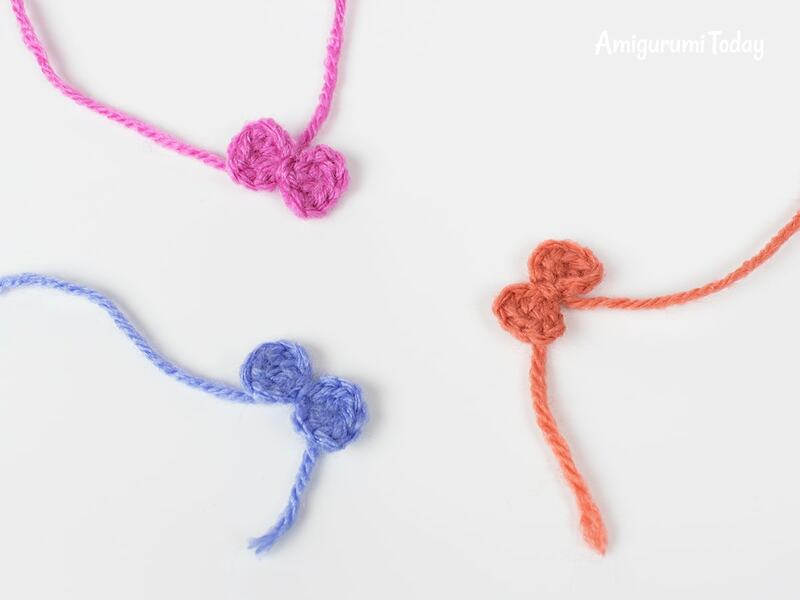 Wrap the yarn end around the middle part of the bow and tie a double knot. 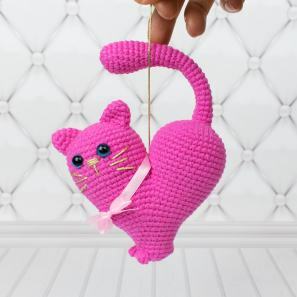 Leave a tail for sewing. 1. 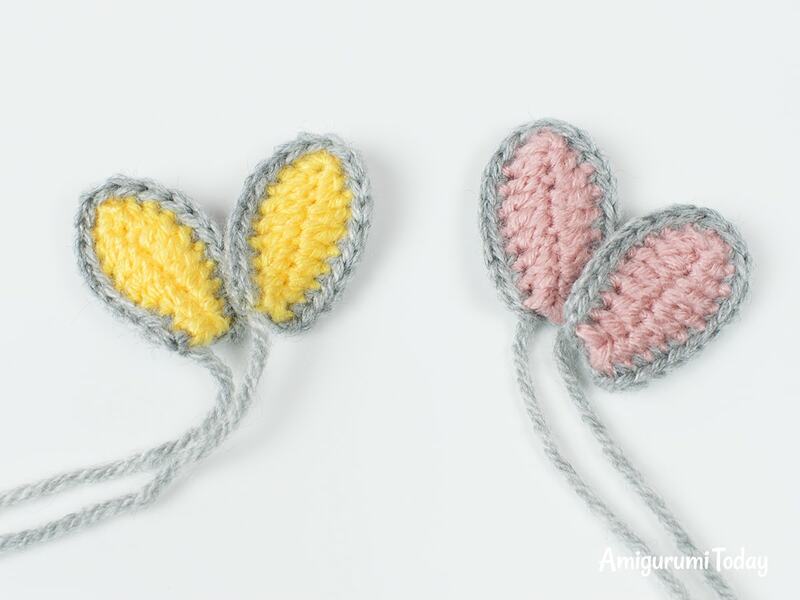 Fold the ears at the base and fasten them in such position with a couple of stitches. 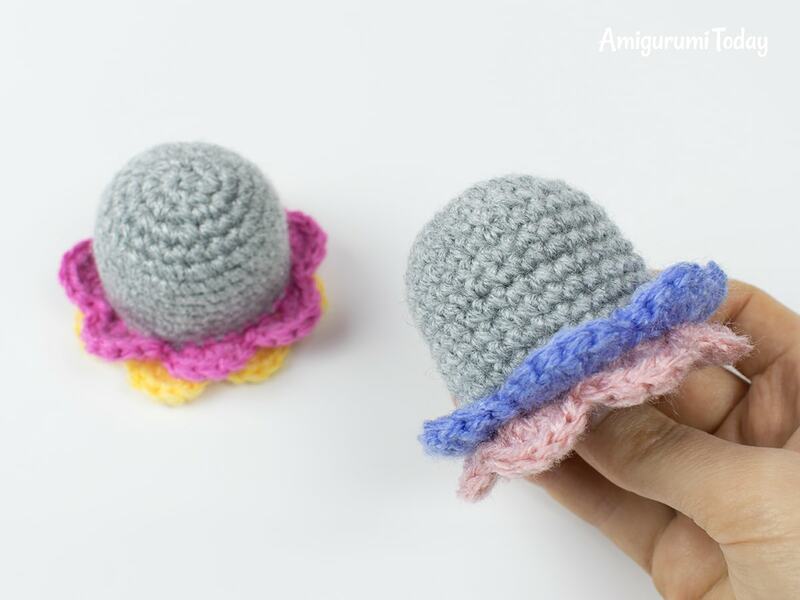 Sew the ears to the top of the egg cozy. 2. 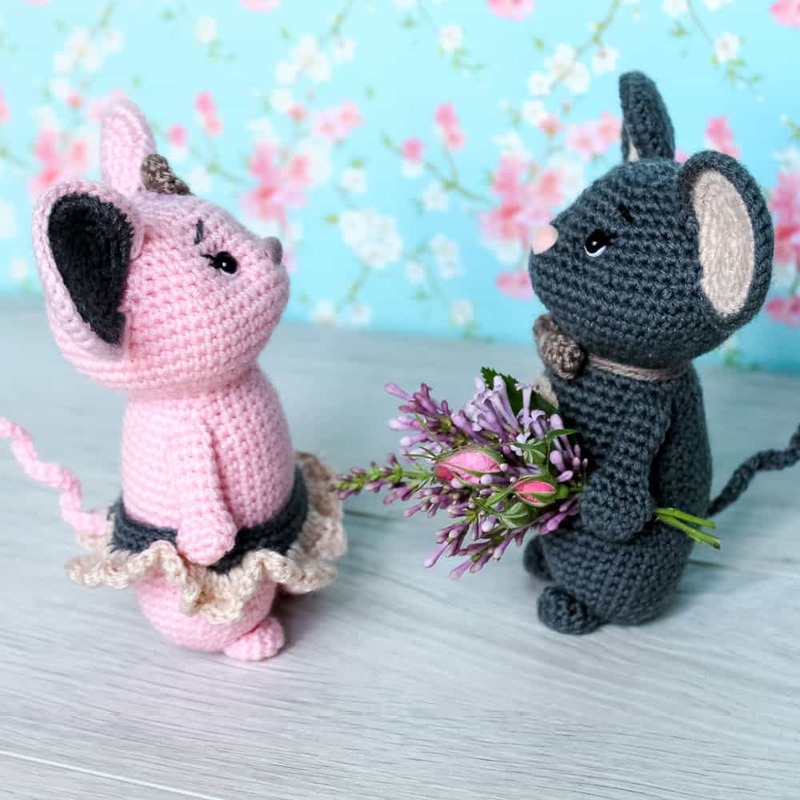 Sew on the eyes between Rnd 6 and Rnd 7. 3. 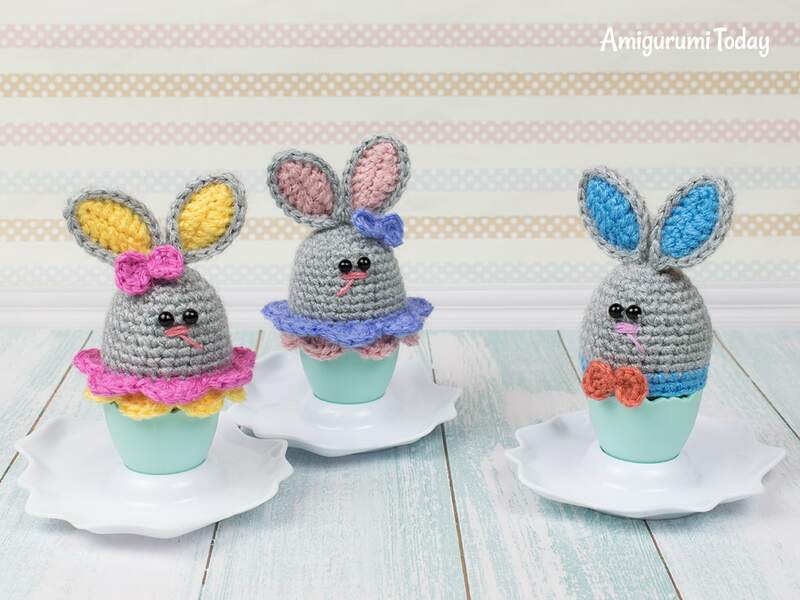 Embroider noses for your bunnies with pink embroidery floss. 4. 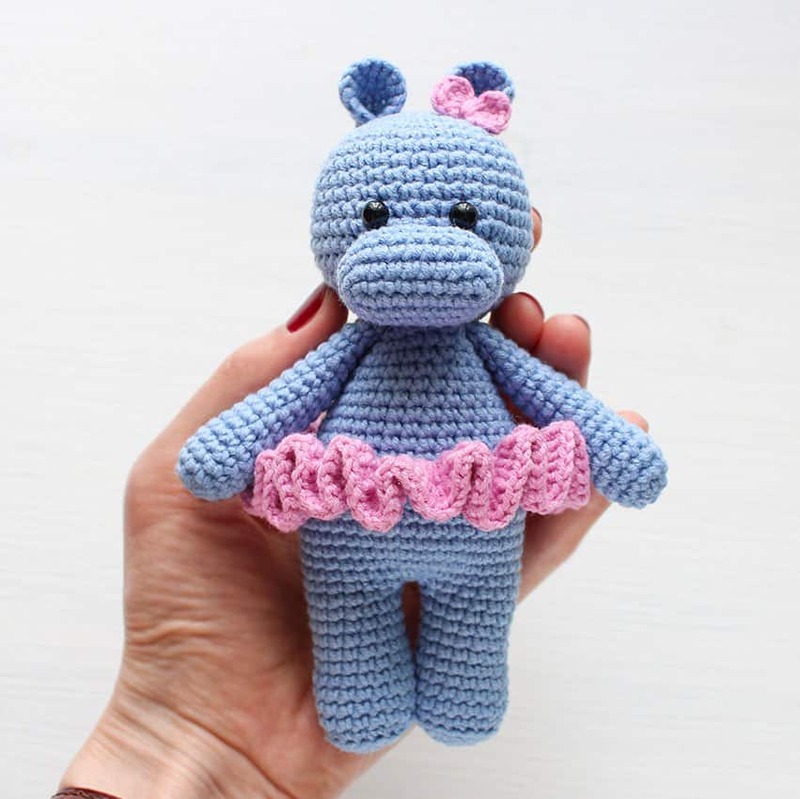 Sew on the bows like its shown in the pictures.